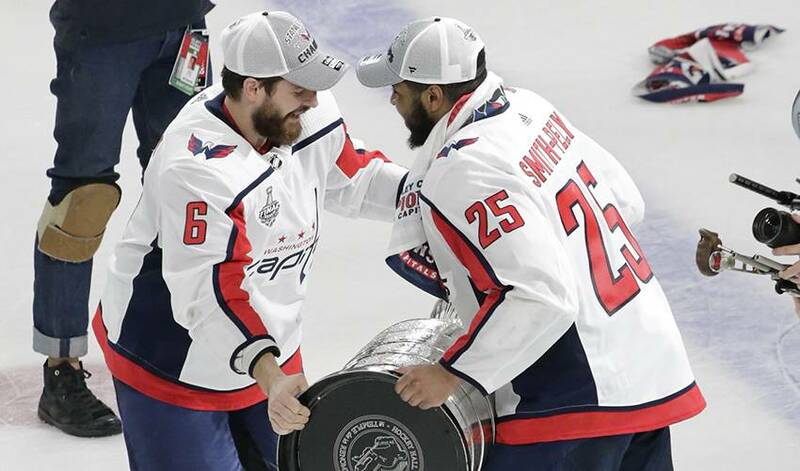 ARLINGTON, Va. — The Washington Capitals are bringing back two of the more important from their Stanley Cup run by getting new contracts done with winger Devante Smith-Pelly and defenceman Michal Kempny. Smith-Pelly had offers from other teams and took less money to sign a $1 million, one-year deal on Thursday. A person with knowledge of the move later in the day said the Capitals agreed to terms on a multiyear contract with Kempny. The person spoke to The Associated Press on condition of anonymity because the deal had not been announced.